I have never seen a juv. Bluebird before. Lovely and great shot of it. Oh, isn't he sweet, still with his spots? I love him, Misty. Do you think that look on his face says he'd like to move to Canada to live with two old people and a big fat Golden Retriever? Probably not, but I had to try. Actually, I know it is a no-no to try to make pets of wild birds and animals, but some wild birds are so darn cute, my heart races ahead of my, um, head. 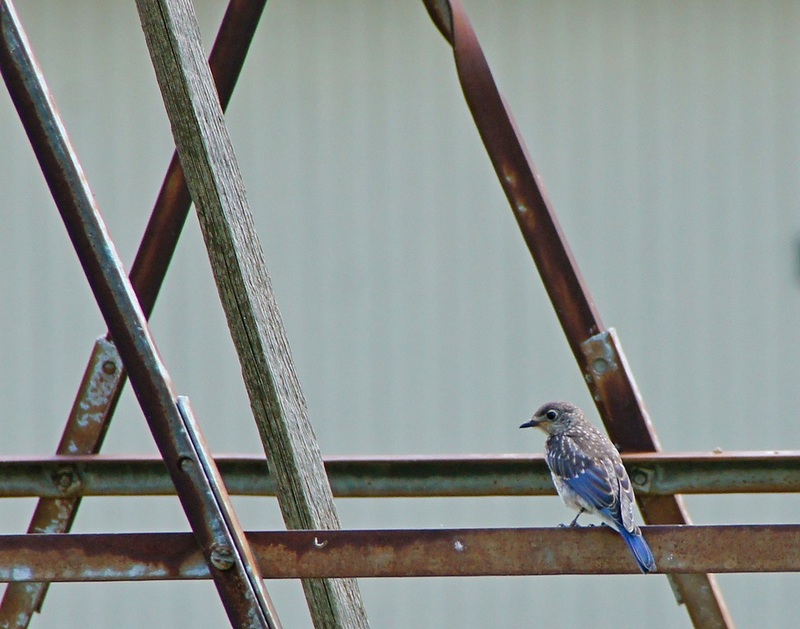 I honestly dont believe I ever have seen an Juvenile Bluebird so thanks for sharing this photo. Great capture Mist. Thats a very nice bird! The spots are great. Great shot of the youngster! We've been blessed with a bumper crop of new Bluebirds around here. Should be a colorful fall!